Some may say otherwise, but I’m here to say that the City of West Palm Beach did a good thing by instituting the “Community Chats for Action.” It will be an even better thing if the project yields tangible results. I’m not alone in this sentiment: The small group in which I participated came away committed to continue meeting, and trying to make a difference, as individuals and together. 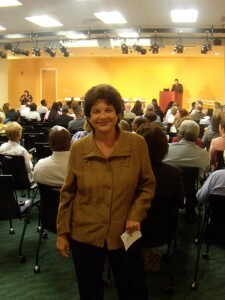 West Palm Beach Mayor Lois Frankel during the Community Chats kickoff. I should explain that the chats are a citywide dialogue toward building bridges across barriers of race, ethnicity and religion. 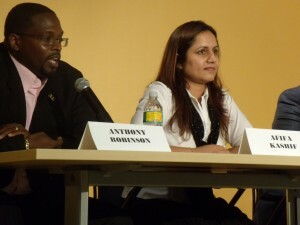 The dialogues began at the city library auditorium Oct. 7, with a panel discussion and recognition of partner organizations, and wrapped up Nov. 17 with sharing and prioritizing of action items. 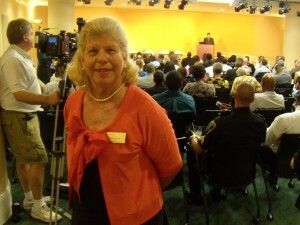 CEO Suzanne Turner's YWCA spearheaded the effort. Over four weeks in between, for two hours weekly in groups throughout the city, residents exchanged thoughts and experiences, in a spirit of respectfulness and civility, with the help of facilitators who also are community volunteers. I had to miss the action items presentation, but expect to hear more about them. This “Chats” series was a long time dream come true……You have my commitment to moving the Action Items forward!!!! As one of the choir members I too found the chats engaging and thought provoking. It sure made mince meat of what I thought people where. If one wants to be honest we all have perceptions of each other. 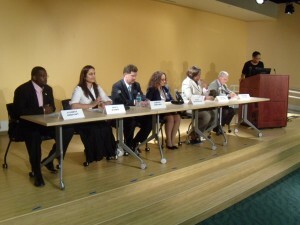 This group allowed me to ask my perceptions without fear of revolt and to get answers as to that perception. The action items garnered from these groups along with the continued dialogue will enable us all to have a better understanding of who we are and our roles in this community. What I found was even though we were the choir we were a little out of tune, out of sync and off message. What the chats created was practice to get us on the same sheet of music. So cheers to the city and the YWCA to bringing us one step closer to that perfect note!